Consumer Reports is an American magazine published since 1936 by Consumers Union (CU), a nonprofit organization dedicated to unbiased product testing, investigative journalism, consumer-oriented research, public education, and consumer advocacy. Consumer Reports publishes reviews and comparisons of consumer products and services based on reporting and results from its in-house testing laboratory and survey research center. The magazine accepts no advertising, pays for all the products it tests, and as a nonprofit organization has no shareholders. It also publishes general and targeted product/service buying guides. Founded in 1936, CU was created to serve as a source of information that consumers could use to help assess the safety and performance of products. Since that time, CU has continued its testing and analysis of products and services, and attempted to advocate for the consumer in legislative and rule-making areas. Among the reforms in which CU played a role were the advent of seat belt laws, the exposure of the dangers of cigarettes, and more recently, the enhancement of consumer finance protection and the increase of consumer access to quality health care. The organization has also expanded its reach to a suite of digital platforms. The organization’s headquarters, including its 50 testing labs, are located in Yonkers, New York, while its automotive testing track is in East Haddam, Connecticut. CU is funded by subscriptions to its magazine and website, as well as through independent grants and donations. Marta L. Tellado is the current CEO of Consumer Reports. She joined the organization in 2014, with the goal of expanding its engagement and advocacy efforts. Consumers Union has hundreds of thousands of online advocates who take action and write letters to policymakers about the issues its advocates take on. This group continues to grow as Consumer Reports expands its reach, with 6 million paid members who have access to online tools like a car recall tracker and personalized content. An additional base of online members join for free and received guidance on a range of products (i.e. gas grills, washing machines) at no charge. CU has also launched several advocacy websites, including HearUsNow.org, which helps consumers with telecommunications policy matters. In March 2005, CU campaign PrescriptionforChange.org released "Drugs I Need", an animated short with a song from the Austin Lounge Lizards, that was featured by The New York Times, JibJab, BoingBoing, and hundreds of blogs. On Earth Day 2005, CU launched GreenerChoices.org, a web-based initiative meant to "inform, engage, and empower consumers about environmentally friendly products and practices." Consumers Union, the advocacy and policy arm of Consumer Reports Magazine, is a sponsor of the Safe Patient Project, with the goal to aid consumers in finding the best quality of health care by promoting the public disclosure of hospital-acquired infection rates and medical errors. The US Centers for Disease Control states that about 2 million patients annually (about 1 in 20) will acquire an infection while being treated in a hospital for an unrelated health care problem, resulting in 99,000 deaths and as much as $45 billion in excess hospital costs. The campaign has worked in every state calling for legislation requiring hospitals to disclose infection rates to the public. A list of state infection reports can be found here. The Safe Patient Project also works on medical devices, prescription drugs, and physician accountability. GreenerChoices.org offers an "accessible, reliable, and practical source of information on buying 'greener' products that have minimal environmental impact and meet personal needs." The site contains many articles about different products, rating them on how "green" they are. It also focuses on electronics and appliance recycling and reuse, as well as conservation and global warming prevention. Funding for Consumers Union has recently been provided by USPIRG Education Fund, the Kentucky Equal Justice Center and the California Pan-Ethnic Health Network among other advocacy organizations. In recent years, the organization has been vocal on key issues, including championing consumer choice and industry competition in the debate against the Sprint T-Mobile merger,  advocating for consumer preference to leave net neutrality protections in place, exposing how data is used to engage in racial discrimination when determining consumer pricing offers, and advocating for stronger privacy laws in the wake of Cambridge Analytica. Consumer Reports is well known for its policies on editorial independence, which it says are to "maintain our independence and impartiality... [so that] CR has no agenda other than the interests of consumers". CR has unusually strict requirements and sometimes has taken extraordinary steps; for example it declined to renew a car dealership's bulk subscription because of "the appearance of an impropriety". Consumer Reports does not allow outside advertising in the magazine, but its website has retailers' advertisements. Consumer Reports states that PriceGrabber places the ads and pays a percentage of referral fees to CR, who has no direct relationship with the retailers. Consumer Reports publishes reviews of its business partner and recommends it in at least one case. CR had a similar relationship with BizRate at one time and has had relationships with other companies including Amazon.com, Yahoo!, The Wall Street Journal, The Washington Post, BillShrink, and Decide.com. CR also accepts grants from other organizations, and at least one high-ranking Consumer Reports employee has gone on to work for a company he evaluated. CR also forbids the use of its reviews for selling products; for example, it will not allow a manufacturer to advertise a positive review. CR has gone to court to enforce that rule. Consumer Reports says its secret shoppers purchase all tested products at retail prices on behalf of Consumers Union, that they do so anonymously, and that CR accepts no free samples in order to limit bias from bribery and to prevent being given better than average samples. Consumer reports pays a rental fee to manufacturers when using these press samples and does not include the products in its ratings. For most of CR's history, it minimized contact with government and industry experts "to avoid compromising the independence of its judgment". In 2007, in response to errors in infant car seat testing, it began accepting advice from a wide range of experts on designing tests, but not on final assessments. Also, at times CR allows manufacturers to review and respond to criticism before publication. Some objective and comparative tests published by Consumer Reports are carried out under the umbrella of the international consumer organization International Consumer Research & Testing. Consumer Reports also uses outside labs for testing, including for 11 percent of tests in 2006. ConsumerReports.org, the related website is largely available only to paid subscribers. ConsumerReports.org provides updates on product availability, and adds new products to previously-published test results. In addition, the online data includes coverage that is not published in the magazine; for example, vehicle reliability (frequency of repair) tables online extend over the full 10 model years reported in the Annual Questionnaires, whereas the magazine has only a six-year history of each model. In 1990, Consumers Union launched Consumer Reports Television. By March 2005 it was "hosted" by over 100 stations. On August 1, 2006 Consumers Union launched ShopSmart, a magazine aimed at young women. In 2008, Consumers Union acquired The Consumerist blog from Gawker Media. Magazine copies distributed in Canada include a small four-page supplement called "Canada Extra", explaining how the magazine's findings apply to that country and lists the examined items available there. In 1998, Consumers Union launched the grant-funded project Consumer Reports WebWatch, which aimed to improve the credibility of Web sites through investigative reporting, publicizing best-practices standards, and publishing a list of sites that comply with the standards. WebWatch worked with the Stanford Web Credibility Project, Harvard University's Berkman Center, The Annenberg School of Communications at the University of Pennsylvania, and others. WebWatch is a member of ICANN, the W3C and the Internet Society. Its content is free. As of July 31, 2009, WebWatch has been shut down, though the site is still available. Consumer Reports Best Buy Drugs is available free on Consumer Reports Health.org. It compares prescription drugs in over 20 major categories, such as heart disease, blood pressure and diabetes, and gives comparative ratings of effectiveness and costs, in reports and tables, in web pages and PDF documents, in summary and detailed form. Also in 2005 Consumers Union launched the service Greener Choices, which is meant to "inform, engage, and empower consumers about environmentally-friendly products and practices". It contains information about conservation, electronics recycling and conservation with the goal or providing an "accessible, reliable, and practical source of information on buying "greener" products that have minimal environmental impact and meet personal needs". Consumers Union published a kids' version of Consumer Reports called Penny Power, later changed to Zillions. This publication was similar to Consumer Reports but served a younger audience. At its peak, the magazine covered close to 350,000 subscribers. It gave children financial advice for budgeting their allowances and saving for a big purchase, reviewed kid-oriented consumer products (e.g., toys, clothes, electronics, food, videogames, etc. ), and generally promoted smart consumerism in kids and teens; testing of products came from kids of the age range a product was targeted toward. It also taught kids about deceitful marketing practices practiced by advertising agencies. The magazine folded in 2000. Consumer Reports had an annual testing budget of approximately US$25 million as well as approximately 7 million subscribers (3.8 million print and 3.2 million digital) as of April 2016. The organization had around 6 million members in July 2018. Advertisement for the first issue of Consumer Reports from the Communist Party's arts and contemporary politics magazine, The New Masses. Consumers Union's predecessor, Consumers' Research, was founded in 1926. In 1936, Consumers Union was founded by Arthur Kallet, Colston Warne, and others who felt that the established Consumers' Research organization was not aggressive enough. Kallet, an engineer and director of Consumers' Research, had a falling out with F.J. Schlink and started his own organization with Amherst College economics professor Colston Warne. In part due to actions of Consumers' Research, the House Un-American Activities Committee placed Consumers Union on a list of subversive organizations, only to remove it in 1954. Prominent consumer advocate Ralph Nader was on the board of directors, but left in 1975 due to a "division of philosophy" with new Executive Director Rhoda Karpatkin. Nader wanted Consumers Union to focus on policy and product advocacy, while Karpatkin focused on product testing. Karpatkin was appointed Executive Director in 1974 and retired as President in the early 2000s. Consumers Union has helped start several consumer groups and publications, in 1960 helping create global consumer group Consumers International and in 1974 providing financial assistance to Consumers' Checkbook which is considered akin to Consumer Reports for local services in the seven metropolitan areas they serve. At the start of 2009, Consumers Union acquired The Consumerist blog from Gawker Media for approximately $600,000. In 2012 the publishing organization began doing business as "Consumer Reports", which is also the name of the magazine published by the organization. 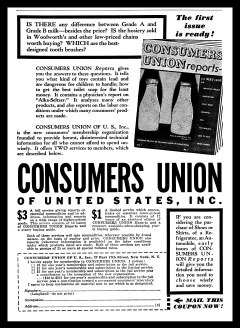 The reason for the name change was that the name of "Consumer Reports" was more familiar to the public than the name "Consumers Union". The name "Consumers Union" became reserved for the subsection of the organization which participates in political advocacy. Consumers Union spent $200,000 on lobbying in 2015. The Consumerist was subsequently closed in December 2017, when its content was folded into the Consumer Reports website. 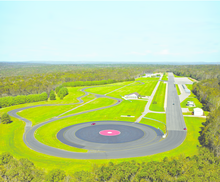 The Consumer Reports auto test track in East Haddam, Connecticut. In the July 1978 issue, Consumer Reports rated the Dodge Omni/Plymouth Horizon automobile "not acceptable", the first car it had judged such since the AMC Ambassador in 1968. In its testing they found the possibility of these models developing an oscillatory yaw as a result of a sudden violent input to the steering; the manufacturer claimed that "Some do, some don't" show this behavior, but it has no "validity in the real world of driving". Nevertheless, the next year, these models included a lighter weight steering wheel rim and a steering damper; Consumer Reports reported that the previous instability was no longer present. In a 2003 issue of CR, the magazine tested the Nissan Murano crossover utility vehicle. Consumer Reports did not recommend the vehicle because of a problem with its power steering, even though the vehicle had above-average reliability. The specific problem was that the steering would stiffen substantially on hard turning. Consumer Reports recommended the 2005 model, which addressed this problem. BMW changed the software for the stability control in its X5 SUV after replicating a potential rollover problem discovered during a Consumer Reports test. In 2010, CR rated the 2010 Lexus GX 460 SUV unsafe after the vehicle failed one of the magazine's emergency safety tests. Toyota temporarily suspended sales of the vehicle, and after conducting its own test acknowledged the problem. A recall for the vehicle was issued, and the vehicle passed a Consumer Reports re-test. In 2016, CR found wildly inconsistent battery life in its testing of Apple's 2016 MacBook Pro. This led to the discovery of a bug in the Safari web browser, which was promptly fixed by Apple, via a software update. In May 2018, CR said it could not recommend the Tesla Model 3 due to concerns about the car’s long stopping distance. Within days, Tesla issued a remote software update. CR retested the car’s brakes, then gave the Model 3 a “recommended” rating. Consumers Union has been sued several times by companies unhappy with reviews of their products in Consumer Reports. Consumers Union has fought these cases vigorously. [page needed] As of October 2000, Consumers Union had been sued by 13 manufacturers and never lost a case. In 1971, Bose Corporation sued Consumer Reports (CR) magazine for libel after CR reported in a review that the sound from the system it reviewed "tended to wander about the room". The case eventually reached the United States Supreme Court, which affirmed in Bose Corp. v. Consumers Union of United States, Inc. that CR's statement was made without actual malice and therefore was not libelous. In 1988, Consumer Reports announced during a press conference that the Suzuki Samurai had demonstrated a tendency to roll and deemed it "not acceptable". Suzuki sued in 1996 after the Samurai was again mentioned in a CR anniversary issue. In July 2004, after eight years in court, the suit was settled and dismissed with no money changing hands and no retraction issued, but Consumers Union did agree to no longer refer to the 16-year-old test results of the 1988 Samurai in its advertising or promotional materials. In December 1997, the Isuzu Trooper distributor in Puerto Rico sued CR, alleging that it had lost sales as a result of CU's disparagement of the Trooper. A trial court granted CU's motion for summary judgment, and the U.S. Court of Appeals for the First Circuit affirmed the favorable judgment. In 2003, Sharper Image sued CR in California for product disparagement over negative reviews of its Ionic Breeze Quadra air purifier. CR moved for dismissal on October 31, 2003, and the case was dismissed in November 2004. The decision also awarded CR $525,000 in legal fees and costs. The February 2007 issue of Consumer Reports stated that only two of the child safety seats it tested for that issue passed the magazine's side impact tests. The National Highway Traffic Safety Administration, which subsequently retested the seats, found that all those seats passed the corresponding NHTSA tests at the speeds described in the magazine report. The CR article reported that the tests simulated the effects of collisions at 38.5 mph. However, the tests that were completed in fact simulated collisions at 70 mph. CR stated in a letter from its president Jim Guest to its subscribers that it would retest the seats. The article was removed from the CR website, and on January 18, 2007, the organization posted a note on its home page about the misleading tests. Subscribers were also sent a postcard apologizing for the error. On January 28, 2007, The New York Times published an op-ed from Joan Claybrook, who served on the board of CU from 1982 to 2006 (and was the head of the National Highway Traffic Safety Administration from 1977 to 1981), where she discussed the sequence of events leading to the publishing of the erroneous information. In 2006, Consumer Reports said six hybrid vehicles would probably not save owners money. The magazine later discovered that it had miscalculated depreciation, and released an update stating that four of the seven vehicles would save the buyer money if the vehicles were kept for five years (including the federal tax credit for hybrid vehicles, which expires after each manufacturer sells 60,000 hybrid vehicles). In February 1998, the magazine tested pet food and claimed that Iams dog food was nutritionally deficient. It later retracted the report claiming that there had been "a systemic error in the measurements of various minerals we tested – potassium, calcium and magnesium". Consumer Reports graphs formerly used a modified form of Harvey Balls for qualitative comparison. The round ideograms were arranged from best to worst. On the left of the diagram, the red circle indicated the highest rating, the half red and white circle was the second highest rating, the white circle was neutral, the half black circle was the second lowest rating, and the entirely black circle was the lowest rating possible. 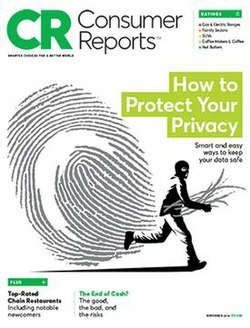 As part of a wider rebranding of Consumer Reports in September 2016, the appearance of the magazine's rating system was significantly revamped. The Harvey Balls were replaced with new color-coded circles: green, for Excellent; lime green, for Very Good; yellow, for Good; orange, for Fair; and red, for Poor. 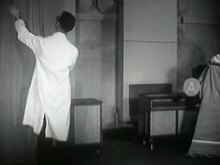 It was stated that this new system will help improve the clarity of ratings tables by using a "universally understood" metaphor. UFC Que Choisir, France's most important consumers' group. ^ Kelly, Keith J. (2015-06-09). "Consumer Reports kills magazine, sparks labor dispute". New York Post. Retrieved 2016-01-22. ^ a b Hiebert, Paul (April 13, 2016). "'Consumer Reports' in the Age of the Amazon Review". The Atlantic. Retrieved October 12, 2016. ^ Franklin 2015, p. 141. ^ Franklin 2015, p. 141-2. ^ Franklin 2015, p. 142-3. ^ Silber, Norman Isaac (1983). "The risk of smoking: verifying the tradition of temperance". Test and protest - the influence of Consumers Union. New York: Holmes & Meier. pp. 39–74. ISBN 0841907498. ^ Silber, Norman Isaac (1983). "Accidents and injuries:testing the automobile industry". Test and protest - the influence of Consumers Union. New York: Holmes & Meier. pp. 75–102. ISBN 0841907498. ^ Franklin 2015, p. 147. ^ Franklin 2015, p. 144-147. ^ Franklin 2015, p. 142. ^ Franklin 2015, p. 145. ^ Haughney, Christine (14 July 2014). "Ford Foundation Executive to Lead Consumer Reports". The New York Times. Retrieved 26 April 2016. ^ "Hang up on Sprint and T-Mobile: Consumer Reports". USA TODAY. Retrieved 2018-05-17. ^ "What is net neutrality? Trump-era regulations could ruin the internet for you". HelloGiggles. Retrieved 2018-05-17. ^ Rich, Jessica (2017-12-12). "Opinion | The false promise behind the FCC's net neutrality repeal plan". Washington Post. ISSN 0190-8286. Retrieved 2018-05-17. ^ a b "The Facebook Debacle Makes it Clear: The US Needs Stronger Privacy Laws". WIRED. Retrieved 2018-05-17. ^ a b c "Our Mission". Consumers Union. Retrieved 27 September 2012. ^ a b c Perez-Pena, Richard (8 Dec 2007). "Success Without Ads". The New York Times. The New York Times Company. Retrieved 2012-11-15. ^ Wald, Matthew (14 Apr 2001). "Consumer Reports Refuses to Renew a Mass Subscription". The New York Times. The New York Times Company. Retrieved 2012-11-15. ^ Guest, Jim (Nov 2009). "From our president". Consumer Reports. Consumers Union. Archived from the original on 11 December 2009. Retrieved 2018-09-28. ^ "Buy Kenmore 6002". Consumer Reports. Consumers Union. Retrieved 2012-11-02. ^ "Start your engines!". Consumer Reports. Consumers Union. Oct 2010. Archived from the original on 23 September 2017. Retrieved 2018-09-28. ^ Tedeschi, Bob (27 Oct 2003). "MediaTalk; Critics Take Wary View Of Shopping Web Link". The New York Times. Retrieved 2012-11-15. ^ "Technology Briefing: Internet; Amazon to Offer Consumer Reports". The New York Times. 7 Dec 2000. Retrieved 2012-11-15. ^ "Technology Briefing / E-Commerce: Yahoo To Sell Consumer Reports Research". The New York Times. 5 Jun 2001. Retrieved 2012-11-15. ^ "Consumer Reports: Foods can contain surprising, even alarming, ingredients". The Washington Post. 2011-09-12. Retrieved 2011-09-13. ^ Geron, Tomio (2011-04-26). "Consumer Reports Partners with BillShrink to Help Consumers Find the Best Deals On Wireless Plans, Credit Cards and TV and Cable Packages". Forbes. Retrieved 2011-09-08. ^ Perez, Sarah (2011-11-23). "Decide.com & Consumer Reports Partner On New Deals Site". TechCrunch. AOL. Retrieved 2011-11-29. ^ Collins, Glenn (13 Aug 2012). "Consumer Reports Receives $2 Million Grant for Food Safety Study13". The New York Times. Retrieved 2012-11-14. ^ "David Champion, Director of Automotive Testing for Consumer Reports, Joins Nissan". The New York Times. 22 Aug 2012. Retrieved 2012-11-15. ^ Dougherty, Phillip (10 Oct 1983). "ADVERTISING; Regina Still Restrained On Consumer Reports". The New York Times. Retrieved 2012-11-15. ^ Bearman, Sophie. "Here's why millions of people trust this testing group when it comes to TVs". CNBC. ^ Fleck, Alissa. "Consumer Reports Launches First Ad Campaign Highlighting How It Keeps Companies Honest". Adweek. ^ a b Fowler, Bree. "First Look: Samsung Galaxy Note8 Brings Size, Style, and Some Baggage". Consumer Reports. ^ a b Seelye, Katharine (21 Mar 2007). "Magazine Will Begin Consulting With Experts". The New York Times. Retrieved 2012-11-15. ^ Mifflin, Lawrie (2 Sep 1996). "Consumer Reports Forges a TV Identity". The New York Times. Retrieved 2012-11-15. ^ "Nearly 100 stations now hosting Consumer Reports Television". Consumers Union. 23 March 2005. Archived from the original on 4 January 2013. Retrieved 15 November 2012. ^ "Consumers Union Press Releases". Consumers Union. Archived from the original on 2012-10-21. Retrieved 2012-11-15. ^ "ShopSmart magazine: Get the best deals every time you shop". Shopsmartmag.org. Archived from the original on 2007-11-22. Retrieved 2017-03-05. ^ Aspan, Maria (24 Jul 2006). "Consumer Reports to Add Shopping Magazine". The New York Times. Retrieved 2012-11-15. ^ "Consumer Reports Drug Reports". Consumer Reports. Retrieved 27 September 2012. ^ Debra West (2000-06-25). "IN BUSINESS; Zillions Becomes An Online Magazine". The New York Times. Retrieved 2017-03-05. ^ "Magazines". Macomb.k12.mi.us. Retrieved 2017-03-05. ^ Bearman, Sophie (19 July 2018). "Here's why millions of people trust this testing group when it comes to TVs". CNBC. CNBC. ^ Haughney, Christine (14 July 2014). "Ford Foundation Executive to Lead Consumer Reports - NYTimes.com". The New York Times. New York: NYTC. ISSN 0362-4331. Retrieved 6 February 2015. ^ Bounds, Gwendolyn (May 5, 2010). "Meet the Sticklers". The Wall Street Journal. pp. D1–D2. Retrieved May 5, 2010. ^ Carr, David (15 Sep 2003). "MediaTalk; 2 Are Out in Shake-Up at Consumer Reports". The New York Times. The New York Times Company. Retrieved 2012-11-15. ^ "CONSUMER GROUP FORMED. ; New Organization Plans to Give Data on Goods and Services". The New York Times. 6 Feb 1936. Retrieved 2012-11-15. ^ "Notes on People; Nader Quits Consumers Union". The New York Times. 23 Aug 1975. Retrieved 2012-11-15. ^ a b c Finn, Robin (5 Oct 2000). "PUBLIC LIVES; Still Top Dog, Consumers' Pit Bull to Retire". The New York Times. The New York Times Company. Retrieved 2012-11-15. ^ Gold, Gerald (13 Jan 1974). "Consumers Union Picks Lawyer To Be Its First Woman Director; In Involvement". The New York Times. Retrieved 2012-11-15. ^ "Consumers Union Buys Consumerist". Consumerist. Retrieved 18 July 2015. ^ a b c Guest, Jim (2012). "From Our President - Changes for 2012 - Consumer Reports". consumerreports.org. Retrieved 17 July 2012. ^ "Lobbying Spending Database - Consumers Union of the US, 2015 | OpenSecrets". www.opensecrets.org. Retrieved 2016-01-20. ^ "Consumerist.com Shutting Down". Retrieved 2018-05-17. ^ "Storm over the Omni Horizon", Time, 26 June 1978. ^ Leonard, David. "Consumer Reports maintains old-school values". Bloomberg Businessweek/MSNBC. Retrieved 27 September 2012. ^ "Consumer Reports Now Recommends MacBook Pros". Consumer Reports. Retrieved 2017-01-12. ^ Ferris, Robert (5 July 2018). "Elon Musk often blows up at critics, but when Consumer Reports complains, even Tesla's CEO listens". CNBC. ^ Boudette, Neal. "Tesla Fixes Model 3 Flaw, Getting Consumer Reports to Change Review". New York Times. ^ "Getting Tools Used" (PDF). Center for Advancing Health. Archived from the original (PDF) on 29 July 2012. Retrieved 27 September 2012. ^ Eldridge, Earle (8 Apr 2004). "Consumers Union, Suzuki settle suit over tipping claim". USA Today. USA Today. Retrieved 2013-02-24. ^ Bose Corporation vs. Consumers Union of United States, Inc. , 367 Mass. 424 (Mass. 1975). ^ "Opinion: Bose Corp. v. Consumers Union - 466 U.S. 485 (1984)". United States Supreme Judicial Court. Justia. ^ "Editorial: A Sound Affirmation". The New York Times. 2 May 1984. Archived from the original on 2009-02-11. Retrieved 27 September 2012. ^ Hakim, Danny. "Suzuki Resolves a Dispute With a Consumer Magazine", The New York Times, 9 July 2004. ^ "Court Dismisses Sharper Image Lawsuit against Consumers Union". Quackwatch.org. Retrieved 2017-03-05. ^ "Sharper Image Corporation (Plaintiff) v. Consimers Union of United States Inc (Defendant)" (PDF). Infomercialwatch.org. Retrieved 2017-03-05. ^ Joan Claybrook (2007-01-28). "Crash Test Dummies". The New York Times. Retrieved 2007-01-29. How the testing mistake was made is instructive not only for Consumer Reports but for everyone who cares about public safety. ^ "Update: This is a revised report on "The dollars and sense of hybrids"". Consumers Union. September 2006. Archived from the original on 2006-11-30. Retrieved 2007-01-29. ^ "Consumer Reports' good reputation takes hit from flawed car seats report". San Diego Union Tribune. Retrieved 2007-02-05. ^ "Another Pogue Challenge: Symbols With Meaning". The New York Times. Retrieved 24 September 2016. ^ "Consumer Reports undergoes makeover". USA Today. Retrieved 24 September 2016. ^ "We Put Ourselves to the Test". Consumer Reports. Retrieved 24 September 2016.